I never thought of Houston as swampy, but there are several bayous here. They're relatively small -- not like the miles and miles of swamp that require elevated highways in Louisiana. But they're really cool to somebody like me, having grown up on the scrubby high plains of New Mexico. 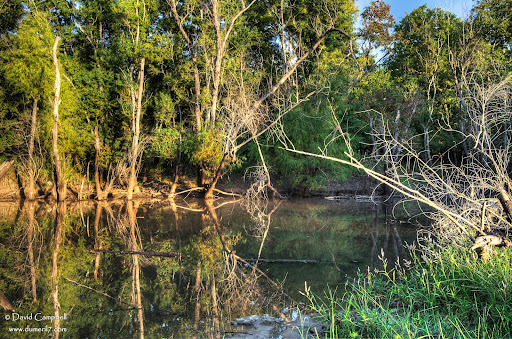 The location in this photo is near a culvert running under one of the roads that pass through the George Bush Park in Houston. I'd driven by it several times noticing how cool it looked and made a mental note to return with my camera one day.